In seeking a nom de plume, the Lucknow-born Aditi Iqbal Srivastava has turned into the Los Angeles-based ITIDA, although her roots remain firmly entrenched in India as a disciple of Girija Devi and, needless to say, reflected in the sounds of “Des Pardes”. Much credit for the amalgamation of both worlds – East and West – should also go to guitarist Shakti Chanchal as Aditi shuffles her classical vocals from Hindi to English supported by multiple Indian instrumentation. 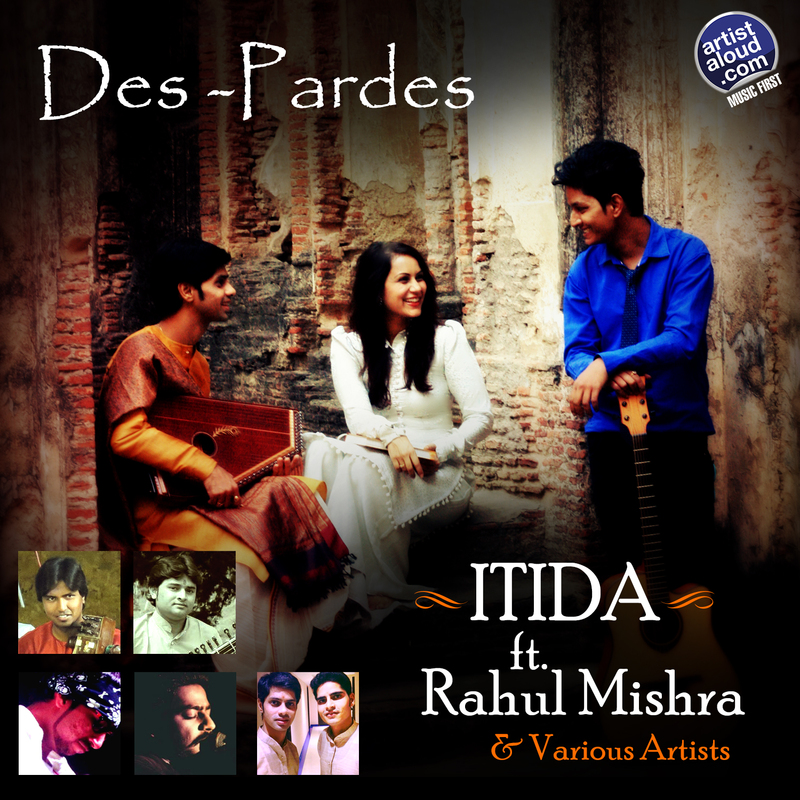 The oft mis-utilised term, “fusion”, may not be hip nor innovative on “Des Pardes”, but there is no denying that the track is musically eclectic, especially with the onset of supporting vocals from the Benares gharana tutored Rahul Mishra. But this mid-tempo track from world citizen Aditi establishes that while she explores the amalgamation of global sounds through her passion for composing and singing, in the heart of hearts, she remains a traditionalist. Welcome home! Hats off to producer/composer Sanjay K Pathak who, under the aegis of Studios Sound Garage, continues to churn out delectable pieces of ethnic melodies. Add “Mati Kahe” to the burgeoning list as the melodious track is a warm, easy going song, but with lyrics – courtesy legendary Punjabi sufi poet Baba Bulleh Shah – driving introspection which, explains Sanjay, talks about the Earth inquiring from a potter [no, not the Harry kind!] about why it is being trampled on. Sanjay’s full arrangements – especially the prominence provided to the harmonium – and his team’s warm production provide a sympathetic setting for Nagpur-based Shruti Jain’s vocals, which are lovely and support the evocative lyrics. 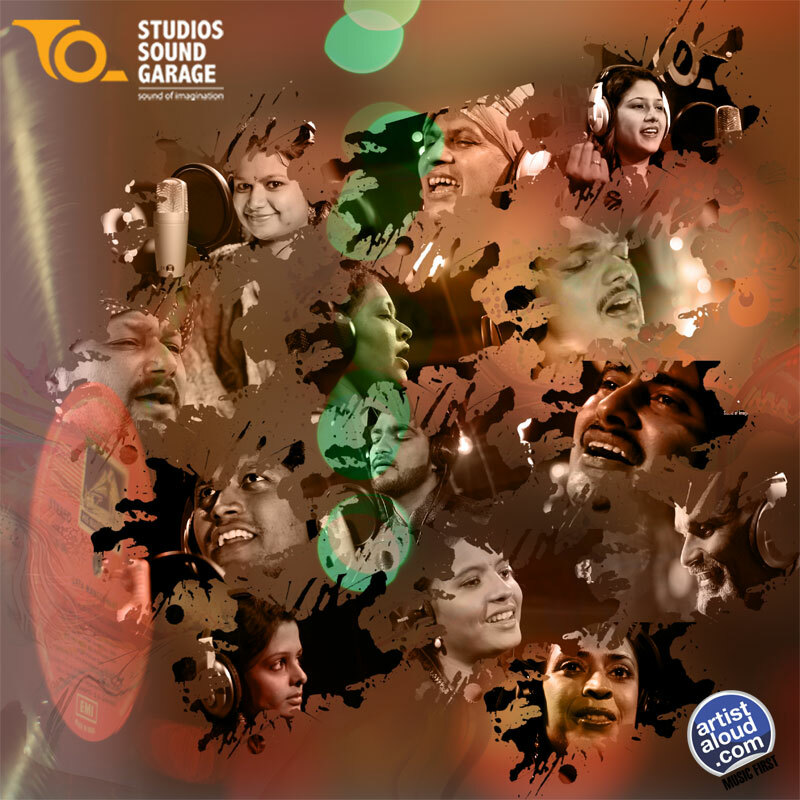 While there is no denying that productions emanating from Studios Sound Garage have a similar feel, but the distinctive melodies and the singing talents help to keep the package blended together and, of course, fresh. Born in Delhi, and raised in New Jersey, Sonali Vij’s talent for playing the guitar holds her in good stead as it has made her into a composer – apparently, she has written over a thousand songs as per the bio – but, more importantly, her vocals fit well into her compositions as can be heard on the mainly acoustic based “Crown Of Thorns”. Sonali has kept her alternative rock roots foundation intact on it, but with an off-balance production – listen to the drums – and the subtle usage of lead guitar and keyboards to provide “Crown Of Thorns” a distinctly modern flavour. As strange as it may sound, Sonali provides a mini masterpiece of sorts containing self-referential lyrics which, for many, these litanies may not add to anything specific but, in totality, works extremely well as Sonali’s songcraft behind “Crown Of Thorns” is both fascinating and compelling on what appears to be an obviously individualist song but, if you dig deeper, it may just relate to you. Early last year, ghazal maestro Pankaj Udhas, who originally hails from Gujarat, had released ‘Dastkhat’, an album containing the poetry of Faiz Ahmed Faiz. However, on his just released, latest collection ‘Khamoshi Ki Awaaz’, while the common thread remains good poetry, the marked difference is that, instead of focusing on a single writer, this time around he chooses a cross-section of both traditional and modern names. The highlights of this seven-track effort are Mirza Ghalib’s ‘Koi Umeed’ and Ahmed Faraz’s ‘Kuch Na Kisi Se Bolenge’, which have been sung soulfully as is Pankaj’s norm, effectively supported by the usage of instruments such as the bansuri and violin. Poet Parveen Shakir is represented by two songs – ‘Tere Khushboo’ and ‘Sunder Komal’. Intriguingly, the opening song, ‘Saaki’, written by Jigar Moradabadi, has an alcohol-based theme and, keeping in mind Pankaj’s universal audience, it is definitely a subject that could have been avoided on an otherwise outstanding album. Nevertheless, barring that blemish if I can call it as such, ‘Khamoshi Ki Awaaz’ deservedly calls for repeated listens. As the doctor in the house, both professionally and metaphorically, Varsha is thorough as a vocalist as her attempt to answer the eternal question of “Kya Hai Pyaar” becomes a straightforward pop-rock anthem, ably supported by guitar-driven hooks that combine Varsha’s narratives that include an English-sung rap interlude. On “Kya Hai Pyaar”, Varsha has perfected the formula for a pop-rock generation, concentrating on sing-along choruses sung over and over again, with the lyrics providing a typical universal topic regarding romantic sentiments. Hard-edged as required – check out the intermittent guitaring – Varsha smartly plays to her strengths, shunning the extremes for an accessible, middle-of-the-road musical approach that should be appealing to more fans than several of her peers. Punk lives! From the remnants of the 1970s sound that initially gained popularity in the U.K. and was renamed as grunge by the U.S. when they imported the genre in the ‘80s, it is indeed a pleasant surprise that the manic, hard-edged sound, typically short songs, stripped-down instrumentation and, often, lyrics laden with pessimism still remains alive into the second decade of the new century. Thanks are due to, in this instance, the troika of Harikesh Shekhar [guitar], Shashank Shetty [bass], and Nihar Pansare, who are jointly known as INSIGNIA. As the potential missing link between pub rock and punk, INSIGNIA proves that the description provided is true as “This Bitter World” turns loud as required, supported by the guitar that is played incredibly fast as the riffs and rhythms result in sheer brutal power which is, after all, the basis of punk. With a musical heavyweight from Euphoria, Ashok Roy, fronting S.Y.N.C. [Social Youth Network Commission], it would be difficult for the band to go wrong and, indeed, they do not as they tackle the refreshing “Tu Hi Nai” with maturity and confidence, both in songwriting – courtesy Ashok and co-composer Redeep Chakraborty – and in vocals. “Tu Hi Hai” is apparently the band’s debut track, which is described as a “story of a broken soul who finds bliss and shelter under the soothing care of his beloved and how, together with her, attains the destiny he had long been striving for”. With a welcome return of harmonies, and the folky acoustic timbres of the sound – ably supported by Subroto Sen on the electric guitar and Somnath Manna on tabla – adds to the song’s beauty and simplicity, making “Tu Hi Hai” a timeless recording.